My.ViewRanger Community Website Updated with TripTracks, Friend Finding, and more. 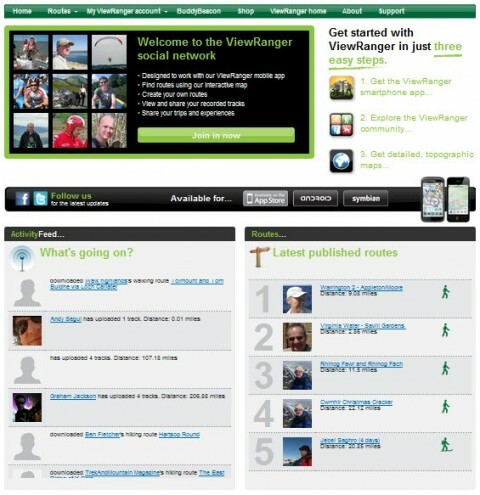 Version 4.0 of the My.ViewRanger social network website has just gone live, and includes several key updates. Several changes are directly due to feedback we've received from ViewRanger users. We've made it easier to find your friends, we've added an exciting new TripTracks feature, and made improvements to route editing and GPX import. Read about What's New and What's Changed below. Visit the My.ViewRanger website here. Whats New in V4.0 of the My.ViewRanger community website? Search for other community members and invite your friends to join in! You can search for publisher partners too. You can search by name or email address. New in V4.0 are TripTracks. These are your gps recorded tracks that automatically pull in your Tweets, Flickr photos, tweeted photos and videos and display these along the track, to create a rich record of your trip. If you record your GPS track with ViewRanger and you tweet or take photos along the way - My.ViewRanger can now automatically combine these. Upload your photos to a supported photo sharing website, and sync your track from your smartphone to the My.ViewRanger site. Tweeted media supported at this time include: Twitpic, Yfrog, Twitgoo, Instagr.am, and Flickr for photo sharing; Yfrog and Twitvid for video sharing. Flickr and Picasa albums are supported, though your photos need to be correctly dated and geo-referenced. In our testing, we've found Flickr to be pretty reliable from Apple, Android, and Symbian handsets; though with Picasa/Google+ the date and geo-referencing information is sometimes not made available via their API. You can then share your TripTracks easily with friends using the Facebook, Twitter, and Email sharing buttons on the TripTrack page. 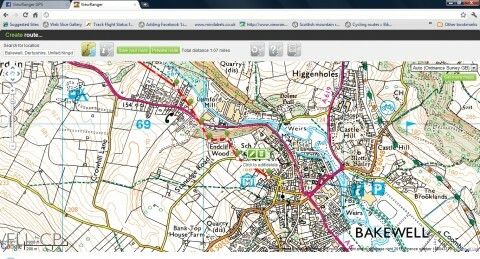 And you can embed your TripTrack maps in your own blog or website. Simply copy and paste the code snippet and show off your track! TripTracks that have been created by pulling in your media, are added to your Public Profile page. You can switch TripTracks between Public and Private using the new Edit Tracks option (see below). TripTracks pull in your Tweets and photo media by looking at the timestamp (and location information if available) of your tweet or photo. To connect your ViewRanger account with these services, you need to use the new Plug-ins page on the My.ViewRanger website (find Plug-ins under the My ViewRanger Account menu). 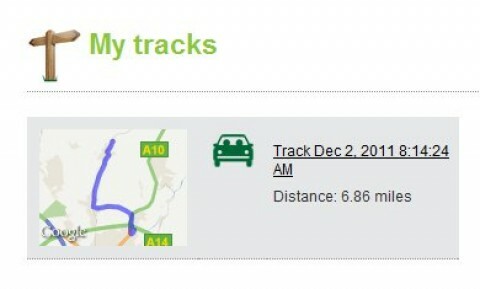 You can now edit the details of tracks that you have synced from your mobile device. 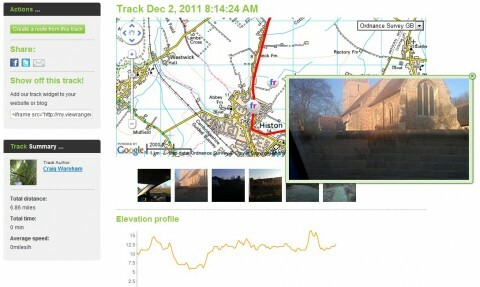 You can change the name of the track, set the activity type when recording the track (walking, cycling, skiing, etc). 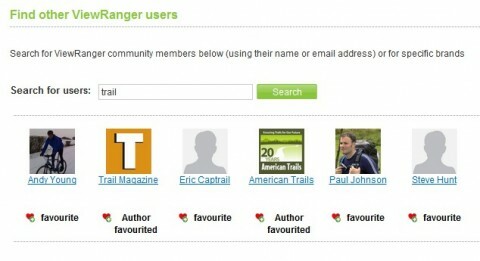 Any routes that you have created and published to the ViewRanger community are shown on your Profile Page (this is the page other users see when they click on your profile icon). We've added preview maps to all the routes, making it much easier to see whether a route is a linear route, a looped route, etc. Many of you requested the ability to be able to expand the map to the full size of the browser window when plotting routes. V4.0 of My.ViewRanger includes full screen maps within the route editor, for both Open maps (OpenStreetMap, OpenCycleMap, Google) and for Premium Mapping (Ordnance Survey GB, IGN France, OS Ireland, OS Northern Ireland, BKG Germany). Tap the full screen icon to toggle between full and part screen editing. We have improved the GPX Import capability of the My.ViewRanger site, so you can now import longer tracks and routes easily into the ViewRanger route editor. Tested with tracks from Matt Baker's Children in Need event, we've loaded tracks with more than 30,000 points.